Directly or indirectly, fisheries scientists (and nearly all scientists) are constantly thinking about where financial support will come from in order to continue important research. On one hand, a growing number of funding agencies now exist to support fisheries research, but on the other hand funding rates are often low (reported <25% for federal funds) and conducting research is more expensive than ever (think personnel, fuel, benefits—not just nets!). Of course submitting proposals is still critical to a scientific career—but what are the alternatives? Many in and out of science have heard the term ‘crowdfunding’—the process of pitching an idea to a crowd (i.e., people visiting a crowdfunding website) in the hopes of collecting monetary support to fund the work behind the idea. Crowdfunding has taken off in non-science fields as many entrepreneurs, for example, have sought capital support for their ideas though a growing number of crowdfunding websites. Science has been slower to use the crowdfunding model, but there is now substantial activity in crowdfunding scientific research—including fisheries research. What follows is a short overview of how crowdfuding works, with some examples of fisheries projects (that you are welcome to support!). 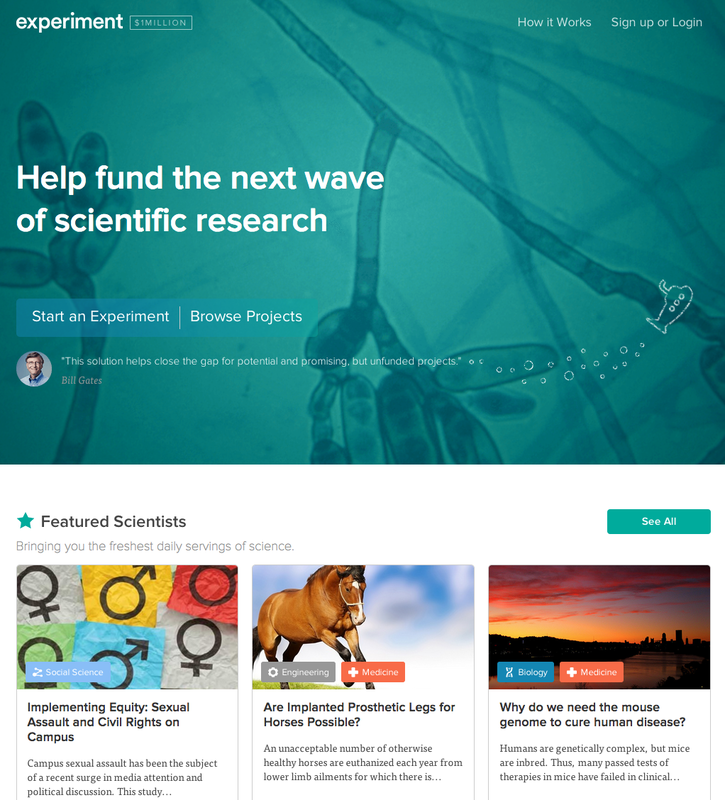 experiment.com is a scientific-based crowdfunding website. There are many things to know when considering a crowdfunding campaign, and here is a short list to get started. You need to sell the research beforehand. Getting strangers to donate money means they need to be sold on the idea and likelihood of success. In the conventional funding world this would be your proposal; however with crowdfunding, you need the make the ideas have obvious and popular appeal, and often short videos or graphics are employed to make your pitch. Consider offering a gift in return of financial support. Many crowdfunding projects offer tiered options for gifts based on financial support. This doesn’t need to just be coffee mugs and t-shirts, but could be something unique to the research you hope to do. Campaigns are generally time-limited. You won’t have forever to try and raise a few thousands dollars, so sell your project in a way that can raise the money you need in weeks to months. Campaigns are often all-or-nothing. If you don’t raise your target amount, in most cases you will end up getting nothing. So don’t sell yourself short of what you need to complete the research, but know that a higher target amount may decrease the likelihood of funding success. Success (throughout the project) is often dictated by the ability to communicate or sell the project. Obviously, this point was made in #1 and you need to sell the project to even stand a chance of funding. However, if you are successfully funded, this doesn’t mean you stop communicating. Consider email updates to backers, and more videos and images once the project is complete. Remember, if you want to try this a second time (possibly with some of the same backers) you’ll want to do well the first time. So you have an idea and want to give it a try—where do you go? Wheat et al. 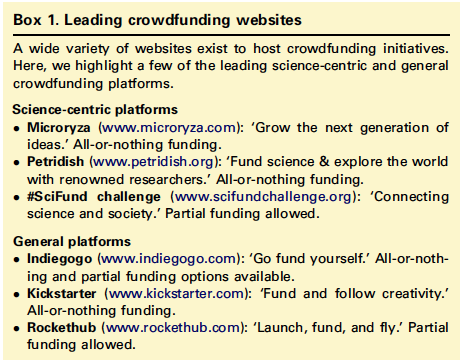 (2012) provide an overview of the crowdfunding model and some websites where science projects can look for support. Namely, Experiment, Petridish, Indiegogo, Kickstarter, and Rockethub are established crowdfunding websites where you might look to sell your ideas. Experiment and Petridish are more science-minded, so check them out first. 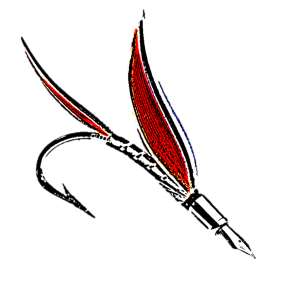 Unfortunately, fisheries-themed projects don’t abound in the crowdfunding world. Maybe it’s because we are generally successful selling our ideas within our agencies? Maybe it’s because we don’t know much about crowdfuding? Maybe it’s because we could all do a better job (well, most of us) at connecting what we do to the science-minded public? Nevertheless, below are a few examples of fish-themed crowdfunding projects. Maybe you would like to make a small donation—or just use it as some motivation to start selling your ideas! Experiment.com: What’s happened to the Millicoma Dace? Experiment.com: How can NGOs guide fisheries to ecological sustainability? Wheat, RE, Y Wang, JE Byrnes, and J. Ranganathan. 2012. Raising money for scientific research through crowdfunding. Trends in Ecology and Evolution 28: 71–72. Marshall, J. 2013. Kickstart your research. PNAS 110:4857–4859. Previous Post As it turns out, what we don’t know can hurt us.